(Natural News) The amount of electronic data we generate every year is quickly outstripping the capacity of the latest storage systems. The U.S. intelligence community wants a new storage material that can accomodate all that data. In an article on Live Science, they are looking into a rather concerning source that is known to store dense amounts of data: Human DNA. 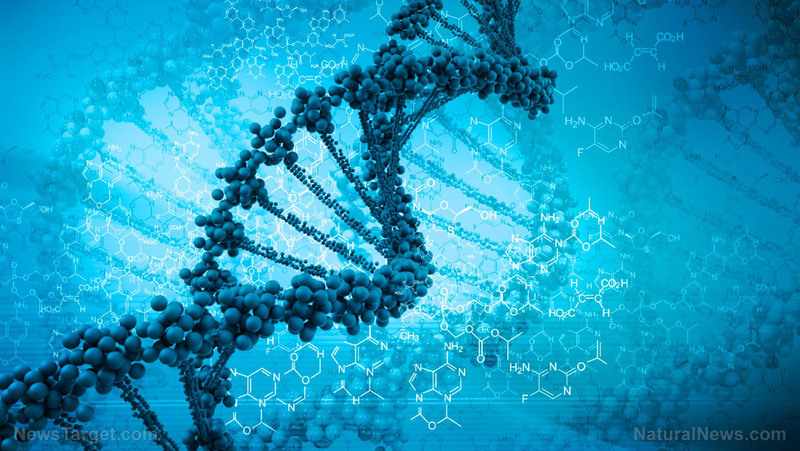 In a recent announcement, the Intelligence Advanced Research Projects Activity (IARPA) called on interested researchers to participate in its Molecular Information Storage program. The agency expressed its interest in a storage system that uses sequence-controlled polymers to store huge amounts of data. These bio-inspired polymers will be based off human DNA. Should they accept the offer, research teams would undertake two jobs. The first task is to create a tabletop device that can write data on polymers for long-term storage. The second objective is to build another device that can read the information stored on the first device. Participating teams must also come up with an operating system (OS) that can organize, access, and find data within the network. The Molecular Information Storage program will run for four years. By the time it ends, the final polymer-based system must be able to write one terabyte of data per day. The device also needs to be able to read ten times that much data on a daily basis. For comparison, a terabyte of data is one thousand gigabytes, which is four times the biggest storage capacity option for the latest iPhone X. Furthermore, the winning participant should also present a means of developing an even more powerful exabyte-level version of the polymer-based data storage and reading devices over the next 10 years. An exabyte is four million times bigger than the iPhone X’s biggest storage system. There are existing exabyte-scale systems. But these data centers cost billions to build, occupy huge amounts of space, and are very expensive to run. According to IARPA, even these massive systems will become outdated in just a decade. Tech experts Domo predict that the individual human of 2020 will be generating more than 140 gigabytes of data each day. That staggering number will only increase as the internet of things grows. Earlier in February 2018, IARPA set the requirements for its exabyte-scale data storage system. The device must fit inside a single room and its annual operating costs must be less than $1 million. The agency noted that current technology cannot build anything remotely close to its future goals. However, IARPA cited studies that covered the ability of sequence-controlled polymers to store data with no errors whatsoever. When it comes to storing data, the polymers that comprise human DNA are 100,000 times as efficient as human data storage devices. Furthermore, the stability of the molecules that make up these polymers can preserve data for centuries without any risk of losing information or data getting corrupted. Researchers believe that they will be able to eke better performance out of powerful supercomputers if they could match the data storage efficiency of DNA polymers. Find out what the U.S. intelligence community is plotting at NationalSecurity.news. Will future buildings be made from vegetables?